Our goal of providing a serious solution to consumers and small business owners who — for whatever reason — can no longer manage the burden of their debt. All of our attorneys are very experienced. Dedicated to protecting consumer rights, they have all focused their careers exclusively on the practice of bankruptcy law. We have helped over 50,000 individuals and businesses create a path to a better financial future. Our attorney, Xiaoming Wu, has been certified in consumer bankruptcy by the American Board of Certification,* which is accredited by the American Bar Association and sponsored by the American Bankruptcy Institute. The certification is recognized by federal law. Only seven practicing attorneys total in Illinois have achieved certification and we have two of them. 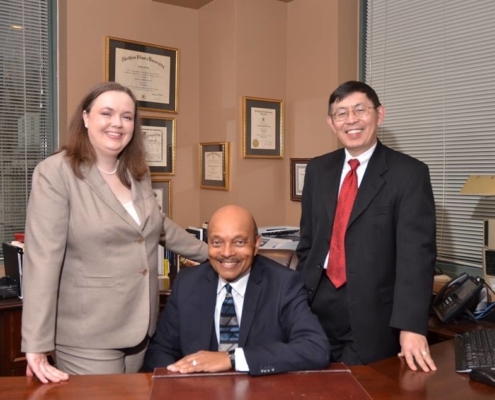 At Billbusters, Borges and Wu, LLC., our clients’ cases are handled by our lawyers — not by secretaries or paralegals. No two cases are exactly alike, and we tailor our services to fit your unique circumstances. Working directly with each client, our lawyers provide a wealth of bankruptcy information and conduct a thorough examination of each case before determining how to proceed. Protect your home, car and other vital possessions while getting out of debt. Driver’s license suspended due to failure to pay parking tickets? Get help today. Foreclosure defense, loan modification and other means of keeping your home.